As evidence continues to accumulate for the association between childhood trauma and long-term adverse outcomes, Trauma-Informed Care (TIC) approaches are emerging as fundamental to contemporary mental health services. To evaluate a workshop designed to influence mental health practitioners in TIC principles and practices. Nursing, medical and allied health professionals completed pre and post measures of confidence, awareness and attitudes towards TIC practice. The workshop was rated as highly relevant and useful to clinician’s practice. Participants’ self-reported confidence, awareness and attitudes towards TIC significantly increased (p < .001) and the perceived number of barriers to working within a TIC framework significantly decreased (p < .05). Child and Adolescent Mental Health clinicians routinely screened for trauma and 80% had received training in a trauma specific intervention at follow-up. This brief training provides an important foundation for the development of trauma-informed, evidence-based mental health services. The authors have no competing interest statements to disclose. All procedures performed in studies involving human participants were in accordance with the ethical standards of the institutional and/or national research committee and with the 1964 Helsinki declaration and its later amendments or comparable ethical standards. This study was approved by the ACT Health Human Research Ethics Committee (ETH. 11.12.281). Courtois, C. A., & Gold, S. N. (2009). 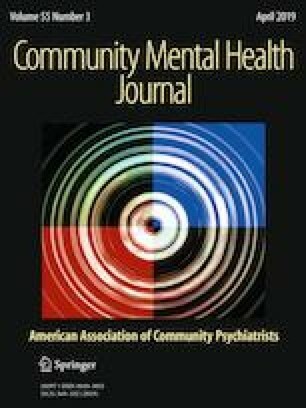 The need for inclusion of psychological trauma in the professional curriculum: A call to action. Psychological Trauma: Theory, Research, Practice, and Policy, 1(1), 3–23. Retrieved December 16, 2016 from http://drchriscourtois.com/images/Need_for_Inclusion_of_Trauma._w._Gold_03_09.pdf. Hodas, G. R. (2006). Responding to Childhood Trauma: The promise and practice of Trauma Informed Care. Pennsylvania Office of Mental Health and Substance Abuse. Retrieved December 16, 2016 from http://www.dhs.pa.gov/cs/groups/public/documents/manual/s_001585.pdf. Mental Health Coordinating Council (MHCC). (2010). Trauma informed care in mental health services: Consultation on the development of a national approach to trauma-informed care & practice (TICP), Retrieved December 20, 2016 from http://www.mhcc.org.au/media/11935/nat-strategy-ticp-lit-rev-19-05-2010.pdf. Mental Health Coordinating Council (MHCC). (2013). Trauma-Informed care and practice: Towards a cultural shift in policy reform across mental health and human services in Australia—a national strategic direction, Bateman, J and Henderson C (MHCC) & Kezelman, C, Adults Surviving Child Abuse (ASCA), MHCC: NSW Australia. Retrieved from http://www.mhcc.org.au/media/44467/nticp_strategic_direction_journal_article__vf4_-_jan_2014_.pdf. National Child Traumatic Stress Network (NCTSN). (2007). Creating trauma informed systems. Retrieved February 7, 2017 from http://www.nctsn.org/resources/topics/creating-trauma-informed-systems. Substance Abuse and Mental Health Services Administration. (2014). SAMHSA’s concept of trauma and guidance for a trauma-informed approach (HHS Publication No. (SMA) 14-4884). Rockville. Retrieved December 20, 2016 from http://store.samhsa.gov/shin/content/SMA14-4884/SMA14-4884.pdf.